Well, yesterday I went to the River Road flea market to shop around for some house stuff, a dresser for the guest room, maybe some cool decorations, and I finally found one super amazing item I’ve been shopping around for now for quite some time – a manual typewriter! 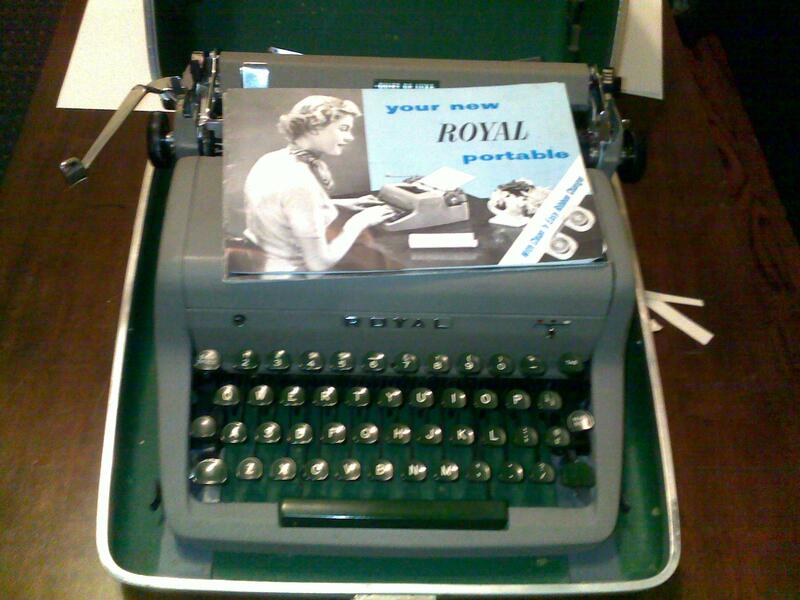 This one was made by Royal around 1953 as part of the their portable series. It came with its own traveling case and the ribbon still has working ink! In fact, this machine is almost completely mint condition! It works impeccably and none of the keys stick! Furthermore, not only did the machine come with its original case, but also two of the original manuals – both copyright 1953. 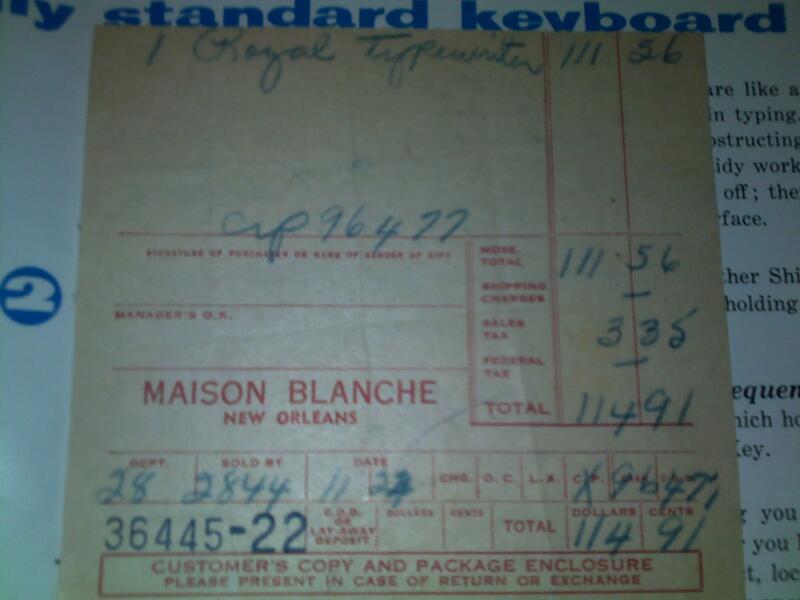 Here is where the story gets really interesting – tucked in between the yellowed pages of the manual was one receipt for sale of typewriter from New Orleans’ own department store Maison Blanche, established in 1897 by Isidore Newman! You can learn more about the store here http://en.wikipedia.org/wiki/Maison_Blanche. Their store was responsible for establishing the original New Orleans Christmas mascot, Mr. Bingle. 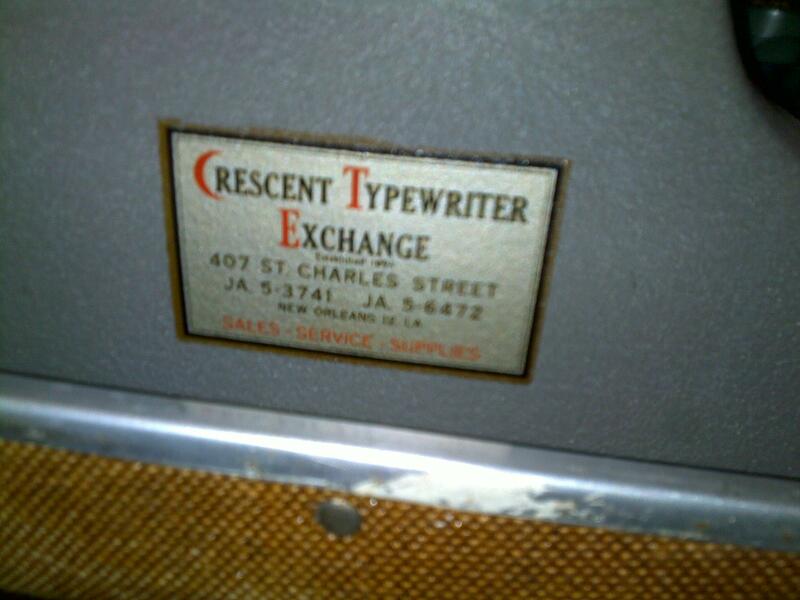 And as you can see, sometime back around 1953, this typewriter sold for 114.91 dollars!! That is certainly much more than I paid for it, and back in the 50’s, that was on the order of 900 dollars. How many of us paid 900 bucks recently for a laptop? But alas, all Google searches have failed to turn up any information about this. So, does anyone have any further information on this device? The serial number tells me this was the last line of manual portable typewriters they built. Cool! Did you type anything yet? 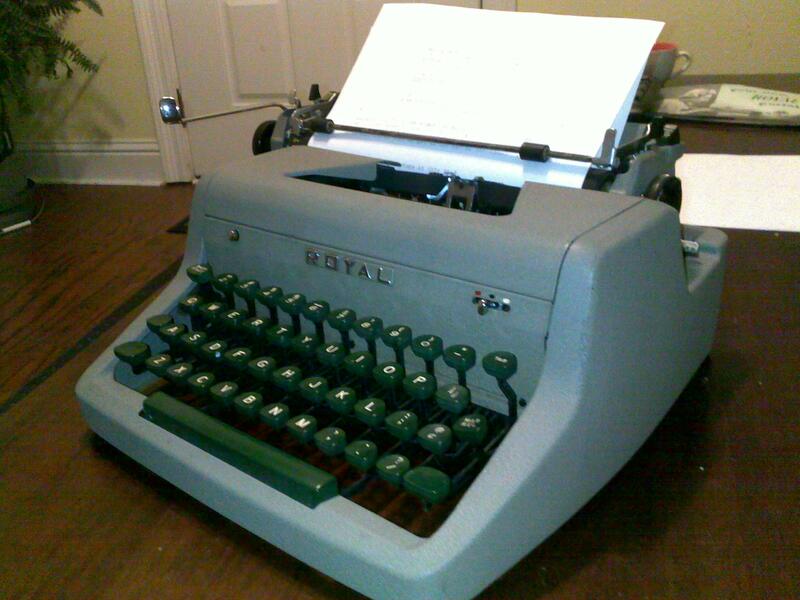 cool, i got a type writer too. and it’s better than yours. so hah! ps. no facebook account? what gives?